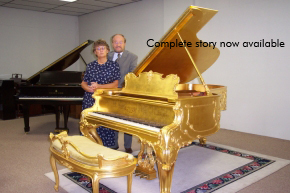 Forte Piano has been in business for over 48 years. Our Founder George Michalski is a Poland-born, European-trained craftsman and artist who delights in rebuilding and refinishing fine pianos. Friendly & courteous European trained craftsman. Low Operating costs mean great savings. What is a Piano Technician ?